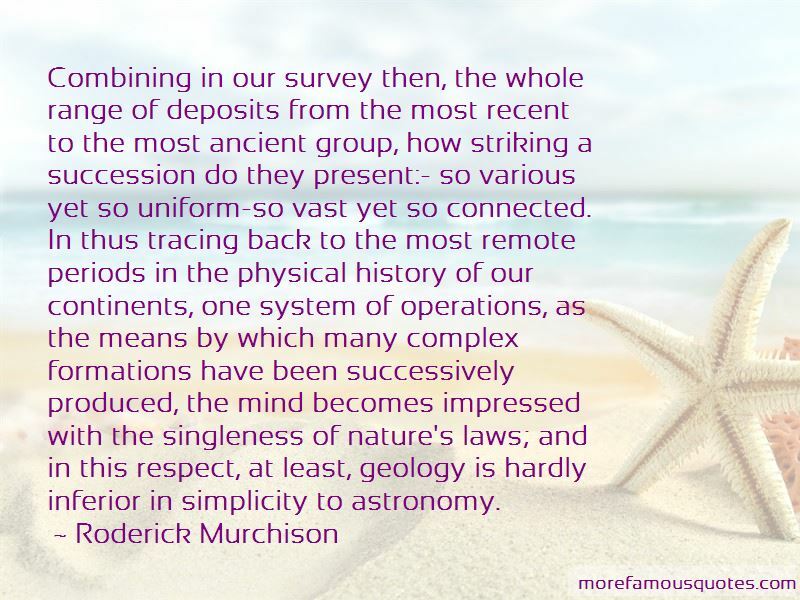 Enjoy the top 7 famous quotes, sayings and quotations by Roderick Murchison. We should greatly err, if we endeavoured to force all ancient nature into a close comparison with existing operations. 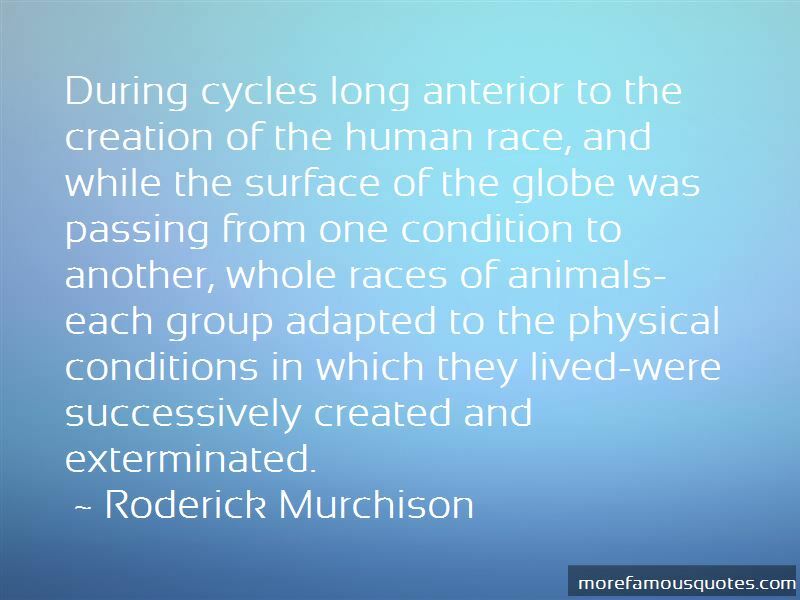 During cycles long anterior to the creation of the human race, and while the surface of the globe was passing from one condition to another, whole races of animals-each group adapted to the physical conditions in which they lived-were successively created and exterminated. The order of ... successive generations is indeed much more clearly proved than many a legend which has assumed the character of history in the hands of man; for the geological record is the work of God. 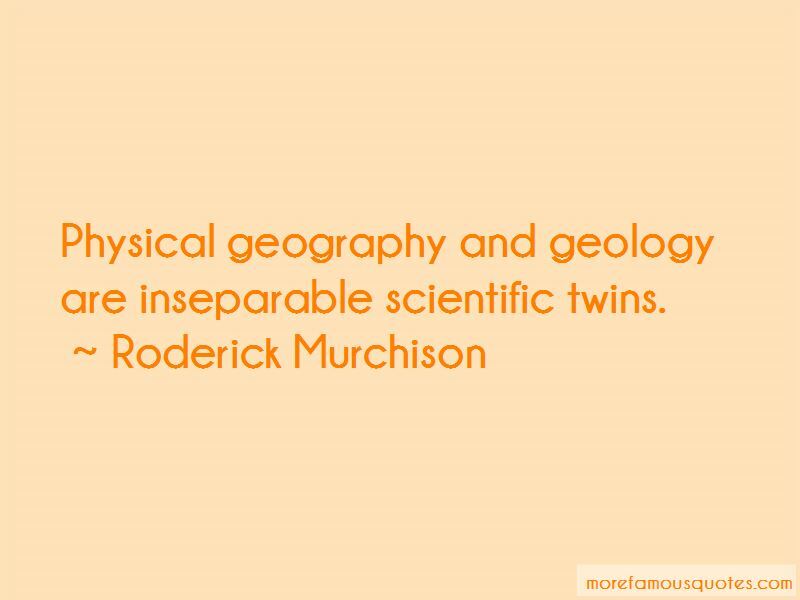 Want to see more pictures of Roderick Murchison quotes? 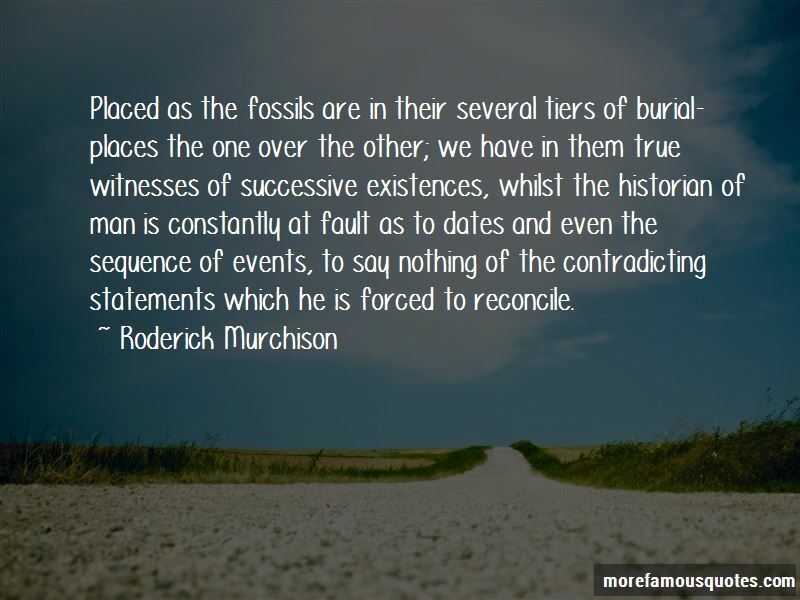 Click on image of Roderick Murchison quotes to view full size. “Do not fret or have any anxiety about anything, but in every circumstance and in everything, by prayer and petition (definite requests), with” — Anonymous.